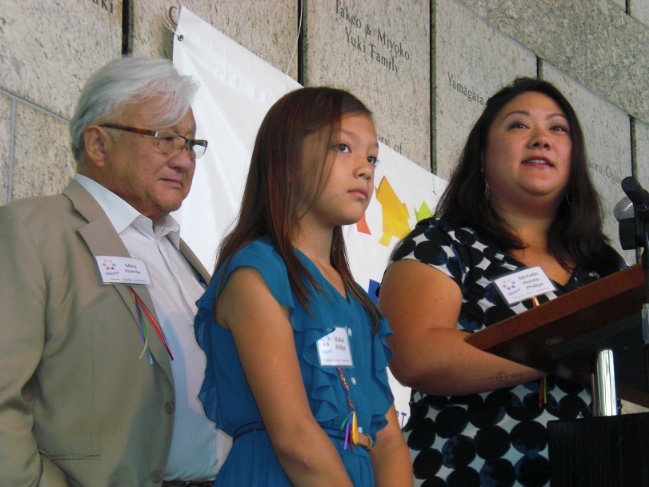 Mike Honda, daughter and transgender granddaughter are keynote speakers. 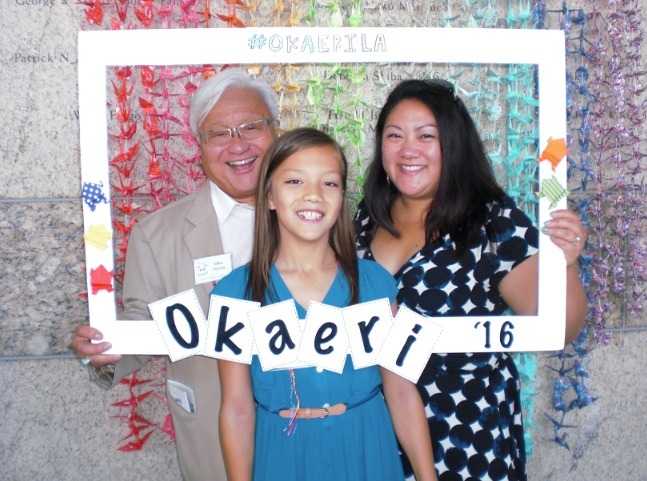 Rep. Mike Honda (D-San Jose), who recently made headlines by publicly embracing his transgender granddaughter, served as keynote speaker along with his daughter, Michelle Honda Phillips, and her daughter, Malisa, at Okaeri, a Nikkei LGBTQ gathering, on Oct. 15 at the Japanese American National Museum in Little Tokyo. Phillips recalled, “My husband and I had three boys very close in age to each other, and each time we found out we were having a boy, we thought we had scored. We didn’t have to buy anything extra — the clothes, shoes, toys. But partway into my third pregnancy, my middle son began to try to tell us that we had everything wrong, that in fact he was our daughter. So began our incredible journey of learning about gender identity expression. To explain in a way that everyone can relate to, she asked how many people in the audience were right-handed, left-handed, or ambidextrous. “Knowing your left hand is your dominant hand, you just know. People didn’t tell you what hand to use; you used what was most comfortable. So you can use one better than the other or both the same. It’s all a spectrum, just like gender. Stressing that transgender kids are not going through “a phase,” she said, “I think about the binary situations before transition that I put my daughter in where she must have felt so different, so alone and misunderstood. She competed on an all-boys gymnastics team, we went to mother-son picnics, all because of what she was assigned at birth. How she must have felt to pretend to be a boy because of how she looked, what people assumed, what we all assumed. Phillips spoke at Tadaima earlier this year, but Okaeri 2016 marked the first time that Malisa spoke for herself in front of an audience. Mother and daughter followed a question-and-answer format. Phillips and Aizumi spoke later in the day at a workshop titled “Our Journeys to Acceptance and Love” along with Karen and Glenn Murakami, Sansei parents of two gay sons.